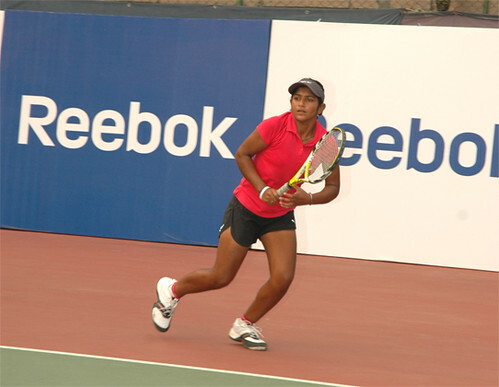 Reebok today brought together international tennis star Nicole Vaidisova and India’s leading tennis player Sunitha Rao with budding tennis champs at the Delhi Lawn Tennis Association Complex. The Reebok scholarship program for budding tennis players solidifies the company’s belief that for good talent to develop, recognition and reward at the grass roots level is critical. Reebok brought together Nicole Vaidisova and the young tennis enthusiasts keen to discover their on-field potential to give them a chance to learn from the very talented Vaidisova. 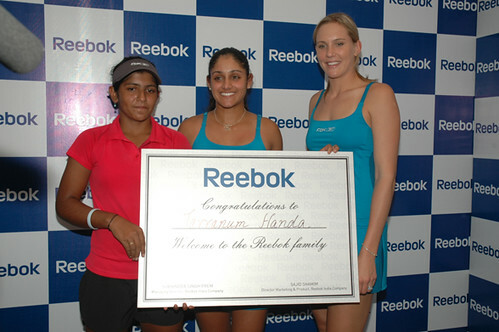 After playing a few friendly knocks with Sunitha Rao followed by a few knocks with kids, Nicole Vaidisova, Reebok’s global brand ambassador said “Tennis has great potential in India and I am excited about Reebok’s focus on promoting tennis in India”. Meeting with the young tennis players in the community is always a great experience. I’m proud to be associated with a brand like Reebok that supports players from an early stage in their career and helps them to fulfill their potential. Such scholarships will ensure that players have access to the best technology that will help them to optimize their performance and prove that true potential will always finds its takers”. The company will promote the game of tennis at three levels in India: the nurturing and recognition of young talent through scholarships, association with key tennis events in the country like Davis Cup, Fed Cup and the launch of high performance Tennis sportswear. 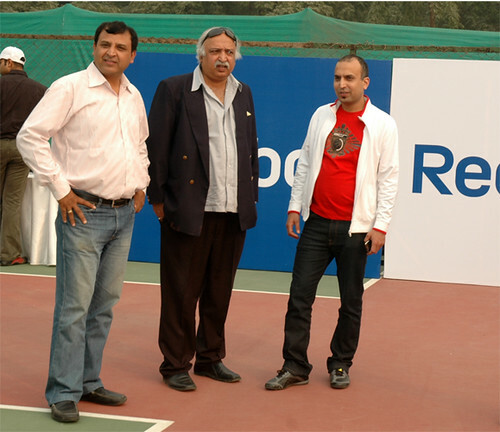 The tennis camp organized by Reebok is an interactive platform for young tennis champs to fulfill their potential. The afternoon started off with an interesting quiz session and was followed by a few knocks played between Nicole Vaidisova and the participants. The kids played with great gusto and skill, the energetic game being followed by the distribution of merchandise to all kids at the camp which they got autographed by their favourite icon. 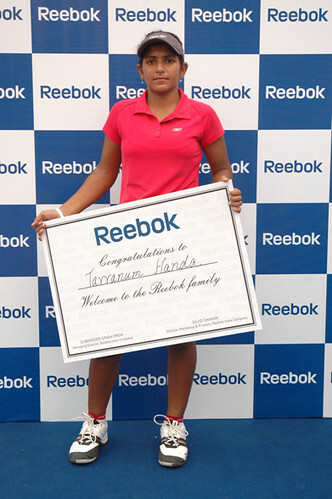 The winners of the Reebok Scholarship program are: Ratnika Batra – Currently AITA (All India Tennis Association) Women’s Rank – 9th. Ratnika is only fourteen and has already accomplished the feat of having such a high ranking. 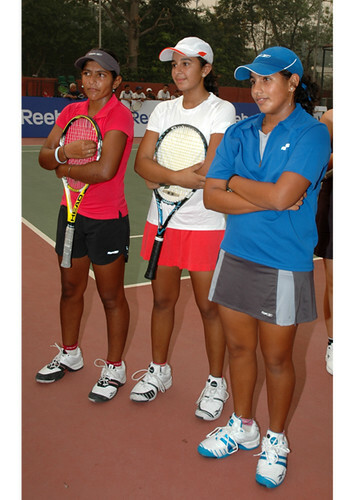 Tarranum Handa – Currently AITA Girls Rank – 1st and Asian Ranking – 1st (in the under-14 category), a truly stupendous achievement for a young athlete. Reebok also support around 100 cricketers at international and domestic cricket level with notable icons like Rahul Dravid, MS Dhoni, Yuvraj Singh, Gautam Gambhir, Ishant Sharma all being Reebok brand ambassadors. Reebok started its operations in India in 1995. Headed by Managing Director Mr. Subhinder Singh Prem, Reebok India has a pan-India presence with branch offices in Mumbai, Kolkata and Bangalore and is the market leader with 700 exclusive stores. The Company’s brand vision is “fulfilling potential”, its mission –”Always challenge and lead through creativity”. Reebok’s brand values are authentic, individualistic, courageous, empowering, innovative and real. Reebok has introduced its internationally acclaimed fitness programs in India, conducted under the banner of Reebok Instructor Alliance, which is dedicated to fitness instructors, personal trainers and health club owners. Reebok has trained and certified more then 1000 trainers till now. Nicole Vaidisova is a great female tennis player.